WASHINGTON (AP) – Federal health officials are granting use of an experimental test to screen blood donations for Zika virus, an emergency step designed to protect local blood supplies from the mosquito-borne virus. The action means U.S. territories with active Zika infections, primarily Puerto Rico, will be able to resume collecting and screening their own blood. Earlier this month, the island of 3.5 million barred local donations and began importing blood from the U.S., following recommendations from the U.S. Food and Drug Administration. The FDA said Wednesday that use of the test could be expanded if the virus spreads to other areas of the U.S. Currently no states have reported local, mosquito-transmitted Zika cases. 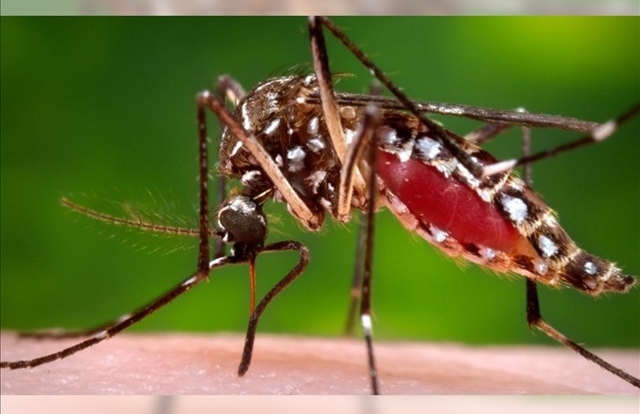 However, some experts say some of the problems facing Puerto Rico now may be repeated later this year in Florida, Texas and other Southern states where officials think mosquito-borne outbreaks of Zika may occur. “In the future, should Zika virus transmission occur in other areas, blood collection establishments will be able to continue to collect blood and use the investigational screening test, minimizing disruption to the blood supply,” said Dr. Peter Marks, director of FDA’s center for biologics. Last month the FDA advised U.S. blood banks to refuse donations from people who have travelled to Zika-affected regions in the previous four weeks. Those guidelines remain in effect. The test authorized by the FDA is made by Roche Molecular Systems, a division of the Swiss health care conglomerate. Zika is spreading rapidly through Latin America. While most people experience either mild or no symptoms, Zika is suspected of causing a devastating birth defect – babies born with abnormally small heads – and pregnant Americans are urged to avoid travel to affected areas. Puerto Rico has 350 confirmed cases of the virus, including 40 pregnant women. Two of those women have given birth to healthy babies. Health authorities have said they are not tracking suspected cases. Last week, the Centers for Disease Control and Prevention said tens of thousands of IUDs and other forms of birth control are badly needed in Puerto Rico to help prevent unintended pregnancies during an outbreak of Zika there. Earlier this month, the CDC and the FDA authorized emergency use of a separate laboratory test to diagnose Zika infection in patients. The test was distributed to a limited number of U.S. and international laboratories.